My final polish from the Urban Decay Summer of Love Nail Set. I don’t know what took me so long to give this one a spin… look how beautiful it is! It’s golden without being brassy… bronze without being orange. It’s quite hard to describe. 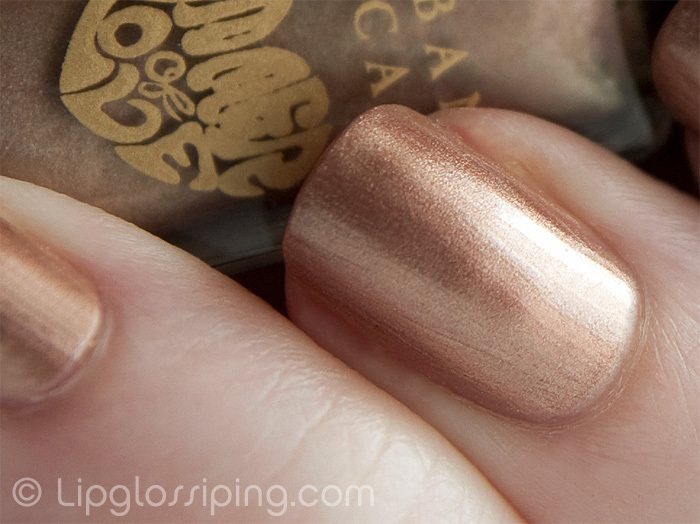 A metallic finish that looks beautifully smooth on the nail. I wasn’t expecting this to suit me, but it suits me very well. 3 coats to achieve a full, opaque finish. I think this may be my favourite from the set. I’m truly surprised by how much I love this one! Longevity on this was also the best… 5 days before I even saw tip wear. That’s pretty amazing no? Ugh, I die when I look at that picture… it captures it well… how can it be so metallic and bronzed yet understated. If I could buy this in a large size bottle, I would. I’ve attached links to the other polishes from the set including the overview… if you haven’t seen them already – check ’em out! I love that color!!! I think I need to get those nail polishes now!!! It’s neat huh?! I can’t believe I kept it ’till last! LOL – you explained it so well, it’s classical! Love this colour so much. It’s the same colour I use on my eyes from their book of shadows…love it. What a pretty color. Very bold and shiny! Love it. For me though, I’d rather go a little wild with turquoise nails. After all, I’ve heard in so many places that it is one of the big colors of the summer. Thanks for sharing this and cute blog too! I did turquoise to death a little in the Spring… though I’m looking forward to a new Eyeko turquoise that should be heading my way. Also, I still haven’t gotten round to wearing my CG For Audrey yet! 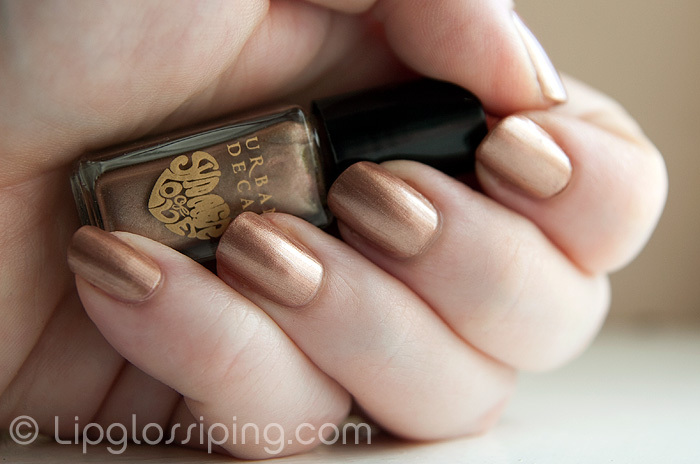 ooh, love this shade! i normally don’t like bronze colours coz a lot of them seem a little on the orange side, but this is perfect! That’s one seriously yummy colour…..looks gorgeous. Very pretty, looks great on you!